The Union has scooped two awards at this year’s Epica Awards, the prestigious awards scheme which judges the cream of European advertising. 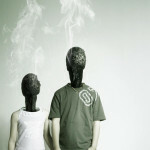 The international panel of judges picked two of The Union’s campaigns for special praise. 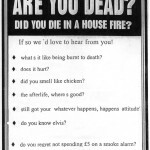 The Lothian and Borders Fire Brigade “Are you dead?” was a Finalist in the Public Services category, coming 8th out of 148 print campaigns entered. 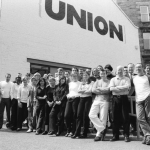 The Union was crowned Scotland’s most creative agency at the 2003 Scottish Advertising Awards this month. Scooping 9 Awards and 7 Commendations The Union topped the awards table for the third time in four years. 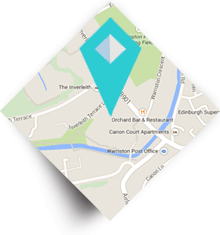 The Union’s work for Lothian and Borders Fire Brigade, the National Galleries of Scotland, the charity Human Writes and The Scottish IPA won the lion’s share of the awards. The Union Advertising Agency in Edinburgh welcomes a series of new client wins which will substantially reduce the effects of the impending departure of the £8 million Intelligent Finance account. The Union, which has over the last three years become Scotland’s most creative advertising agency, and scooped five Scottish IPA Effectiveness Awards this year, has recently won several substantial new assignments from a range of clients. These are worth in excess of £6 million in billings and include work from Scottish Executive, Sterling Furniture Group, Whyte & Mackay and James Hardie (a US building products company).